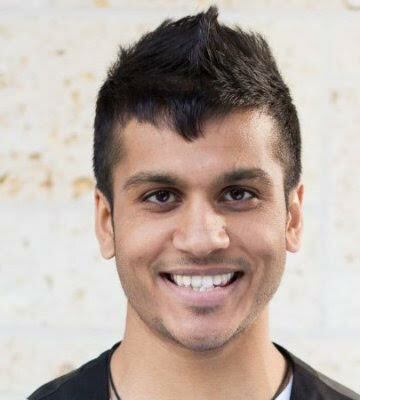 Raj Pravinbhai Bhakta, an alumni of The University of Texas-Austin, completed his undergrad with a B.S. in Physics, with a concentration in Radiation Physics, Nuclear Engineering, and Philosophy of Physics. He is currently a first-year graduate student at North Carolina State University in Raleigh, NC. At NCSU, he is in Nuclear Engineering but is actively trying to switch to Materials Science and Engineering. This change reflects his interest in research. After he graduates, he wants to pursue a career in technology entrepreneurship because start-ups really excite him and that’s where he believes his skill-set and interests overlap. He hopes to launch a high-tech start-up after he graduates or works at one. He says, "Start-ups are very much like running a competitive dance team; as you’re constantly trying to fundraise, try new dance concepts (R&D), and polish your dance routine (product), so that it appeals to the judges and audience (market), while meeting like-minded people and being a part of a small-knit and innovative community." Besides dance, I love reading philosophy, science, and technology articles/books. I’m always down for a drink to discuss deep topics like the future of humanity, exponential change in technology, and other intellectual stuff. Dance, of course, has turned into a passionate hobby. I love to learn new choreography, freestyle, watch dance performances, and talk about dance. I’m also a foodie. I love asian (specifically Thai), indian, and mediterranean food. Give me a tub of hummus and some pita bread and I’ll be set for life. Throw in some carrots while you’re at it. The only sport I love and watch avidly is soccer, or futbol for the rest of the world. I’m a die-hard Chelsea FC fan and have been for years. What got you involved in dancing? In the summer after my junior year of high school (2009), this show called “Dance India Dance” came on Zee TV. My mom and I watched it every weekend because watching Indian channels is life for all desi parents. During that summer, my cousin was getting married and my mom thought that it’d be a good idea for me to dance (I was terrified). The last time I danced was in second grade when I was given one 8-count because I was so bad at dancing. I did what I could in 3 weeks and performed a dance inspired by one of the Dance India Dance Season One contestants, Prince, to a popular song called “Kya Mujhe Pyaar Hai”. For some reason, everyone loved it and I was encouraged to pursue it as a hobby. I started watching ABDC and began learning off YouTube. I was one of those gujus whose parents were in the motel business so we had this extra room which only had a mirror and was used as storage space. I got my old dell speakers and an mp3 player and that became my personal dance studio for many, many years. I practiced multiple times a week for hours, freestyling whenever I could and trying new things out. Then when I came to UT-Austin, I joined Texas Nach Baliye and the rest is history. The camaraderie of the circuit and the innovation that has occurred over the years has kept me gripped.. The positive vibe is unlike any other community I’ve been a part of. I was on Texas Nach Baliye for 4 years. I initially wanted to do Hip-Hop, but the friends I made on the team were the main reason I stayed - dance wasn’t just a passionate hobby of mine, it was a way to be a part of a family of like-minded people. I’ve choreographed every year I’ve been on NB, was a manager my junior year, and was a Co-Captain my senior year. After graduating, I joined East Coast Beast Coast and now I’m on Aluminati. My favorite dance moment was when we (Texas Nach Baliye) performed at World of Dance-Dallas 2014 as an upper-division team. Another favorite dance moment that’s more for my parents and family than for me personally was when I was on Dance India Dance North America 2015. Seeing them happy made me really happy. It was full-circle because I was blessed to have the opportunity to perform on the same show my mom and I used to watch that inspired me to dance. My favorite moment as an organizer was in Jhalak 2013 when I saw the dancers faces light up when they came into the mixer venue. We had been working really hard all semester to plan the mixer and to keep it as smooth as possible and it was heart-warming to see them so happy and having so much fun. I’m most excited for the future of our circuit and DDN. If a DDN convention can be successfully planned and executed it will be amazing for the future of this circuit. The circuit is as connected as it has ever been so it’s truly exciting to see dancers support each other and grow as individuals. I’ve worn van’s for the past 5 years, every year a different color.